On this historic day, RSA Market Agency has taken a further step in securing their Cape Town Market footprint by acquiring the Fox & Brink Group. 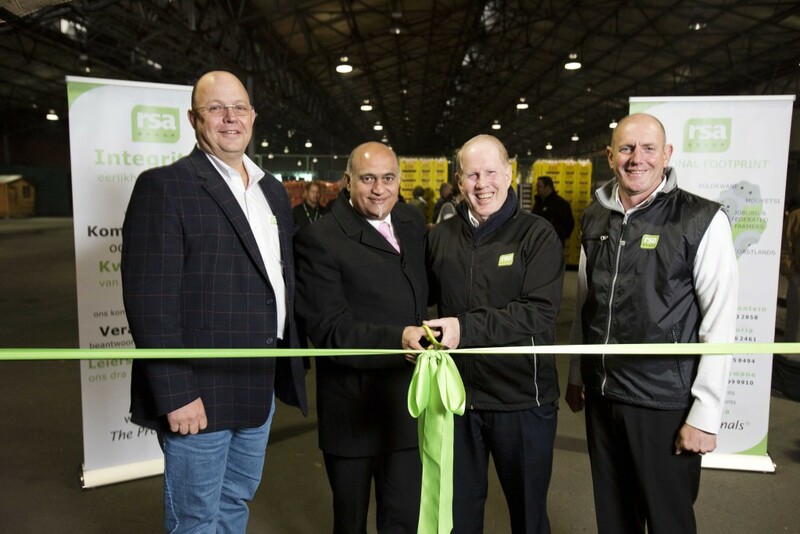 The event, held at Cape Town Market’s premises, was filled with dignitaries from the Producer, Buyer and Market sector, which demonstrated the importance of the launch. Introductions and welcomes was conducted by Mr. Deon van Zyl (MD Joburg), whilst the guest speaker, Mr. Gareth Haysom of the University of Cape Town, spoke of the African Food Security Urban Network, and the research that was conducted to enhance our understanding of the challenges all cities face with regards to rapid urbanization, with specific focus on the dependence of our food supply. Cape Town Market’s very own Executive Chairman, Dr. Anwah Nagia, was the key speaker at the launch, and emphasized on the much needed co-operation of all stake holders in what seems to be a hot potato, namely the Land Reform Act. He said that only with dialogue and mentorship would the Act become a success, and not ignoring the issues at hand. Special mention was made of the Cape Town Market’s recent capital expenditure of the new trading systems, as well as other Market upgrade projects. Dr. Nagia wished RSA all the success for their future endeavors and was hopeful that this relationship will prosper and spread throughout Markets. Jaco Oosthuisen (MD RSA Group), was the next speaker and his message was about what the RSA Group will bring to the Market, which is “Profreshionalism”. Ethics and morals is a cornerstone of their organization, with their relentless pursuit of providing an excellent and consistent service to their Producers. The MD of RSA Cape Town, Mr. Maine Daniels, closed off the launch, before the ribbon cutting, and thanked all whom participated in making the Launch a success. The ribbon cutting, jointly conducted by Dr. Anwah Nagia, RSA Group Chairman, Mr. Peter Misselbrook, Mr. Jaco Oosthuisen RSA Group MD and Johan Koen RSA Group Financial Director. This was followed by array of food offerings, which catered for the Cape Town palette, with all guests enjoying the options, on what was a historic day.